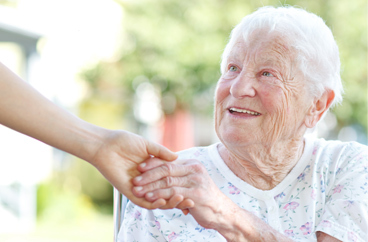 Providing In-Home Respite Care Services in Lake County, Florida. Our office provides respite care services in the following locations including Lake County, Clermont, Eustis, Leesburg, Mt Dora, The Villages, Tavares, and Lady Lake in Florida. Acti-Kare of Lake County, FL, wants to help you take a break through respite care. 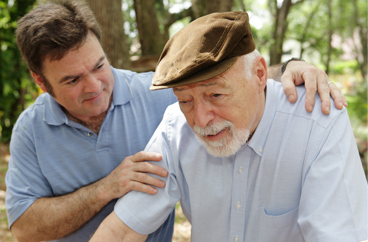 Have you been searching “Respite Care near me”? If so, Acti-Kare of Lake County, FL is here to help. Acti-Kare provides in-home respite care that will provide you with a much-needed break from caregiving. Acti-Kare caregivers follow a well-designed program that will give you the much-needed relaxation that you deserve. By providing yourself respite, you are able to recharge yourself physically, and emotionally. 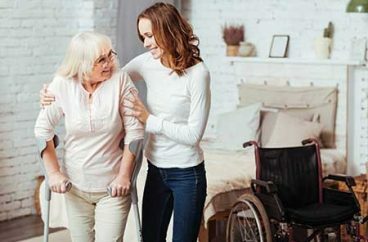 We understand how difficult caregiving may be, but with over a decade of experience, Acti-Kare of Lake County, FL can provide you and your family leading in-home respite care at an affordable price. Respite care can help your family caregiver take the time they need to relax. This is why Acti-Kare provides professional in-home respite care services that give your family the added security they deserve. Our teams are geared to help all members of the family, not just the elder care client. Did you know that by utilizing respite care your family caregiver will benefit from the following? • Provide the family caregiver with a time to relax, and meet with friends, which could greatly benefit emotionally, and mentally. • Provide the family caregiver with time to run errands, such as getting haircuts, getting groceries, Shopping, and going to the doctors. • Will provide you with comfort and peace of mind knowing that your loved one is being cared for by a professional caregiver, who is trained for these circumstances. • The opportunity to be cared for by changing their daily routine, which in turn will help keep their mind sharp. • Our caregivers will only provide your loved one with a safe, and comfortable environment. • Acti-Kare also has a proprietary program called Acti-Vate with will promote mental stimulation, and physical activities if possible. Did you know that respite care is also great for your loved one? Respite care helps seniors by changing their daily routine, which helps to keep your loved one’s mind sharp. Also, our professional and private caregivers are there to help keep your family’s routine in one piece. We understand that families feel committed to caring for their loved ones at home, and it can also be seen as a source of joy for family members. However, the emotional, financial, and not to mention physical demands on a family caregiver can be quite overwhelming and that’s why there is Acti-Kare in-home responsive care. Our Acti-Kare caregivers are available 24 hours a day, seven days a week to ensure that your loved one is comfortable in the home. If you’re looking for scheduled respite care, or spontaneous, Acti-kare will be able to provide you flexible care when you need it most. Our Acti-Kare caregivers will make sure that your loved feels right at home. Step One: Understand your needs as well as your loved ones. • Be Realistic. How much time do you need? Do you need a few hours two times a week, or a few days? Are you looking to spend over 24 hours away from your home? Do you need to go to grocery store? The Doctors? Or maybe its even all of the above. • What are your loved ones needs? Are they seeking companionship? Do they need an individual to come and help prepare meals? Could the house use some light housekeeping? Do they need any form of personal care? It is important to plan out required tasks regardless of how large or how small. Step 2: Get the family involved. Gather all members of the family, and let them know where you are struggling, and what you are struggling with. Find a way to communicate your issues to all members. Explain. Explain. Explain. We understand the conversation may be difficult, you don’t need to be a superhero for everyone in the family. Make a decision that will best benefit not only you, but your loved one. Providing respite is very important for the family caregiver, but providing your loved one with professional and trained in-home care will give you and your family the safety they need. Acti-Kare Respite care services will provide your loved one with a great and integrative care program, and will provide your family caregiver with a much-deserved break. Acti-Kare of Lake County, FL will provide each and every respite care client with a customized care plan to ensure a familiar routine. Our caregivers have been trained, insured, and bonded to provide your loved one with professional care. Our private respite caregivers will help you and your family have the much-needed rest you deserve. Call 352-835-5655, or fill out the request form above for a free in-home consultation. In addition to Lake County, our office offers respite care services in the following locations: Clermont, Eustis, Leesburg, Mt Dora, The Villages, Tavares, and Lady Lake in Florida. Acti-Kare of Lake County, FL has provides leading in-home senior care. It is our goal to help seniors live an active lifestyle within their own homes. Acti-Kare of Lake County, FL also specializes in providing tier one in-home family care to mothers, infants, children and more! Acti-Kare of Lake County, FL provides recovery home care services for surgery, accident and other disabilities – qualified caregivers – meals, personal care, house cleaning and more.